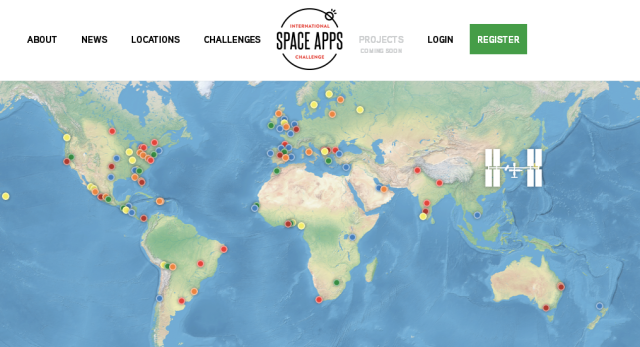 The International Space Apps Challenge is an annual event, led by NASA, held over two days in cities around the globe with a mission to produce open-source solutions in five themes based around NASA’s mission directorates: Earth Watch, Technology in Space, Human Spaceflight, Robotics, and Asteroids. The “Global Mainstage” for the event will be New York City. More information on specific challenges is available on the event’s website.